Zone Base: Beast Morphers are Go Go! Beast Morphers are Go Go! Imagine calling on the power of these Converting Zords and battling the Power Rangers' toughest enemies. 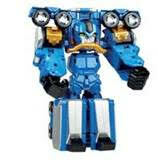 Convert from Beast Mode, ready for a fight, to Vehicle Mode, ready to roll to the next place Zord power is needed. And combined with other Zord figures (Each sold separately. Subject to availability. 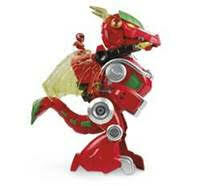 ), kids can build the Beast-X Megazord to imagine taking on even more powerful foes. Assortment includes Beast Wheeler, Beast Chopper, and Beast Jet Zords. Each sold separately. Subject to availability. Go Go Power Rangers! Available at most major toy retailers nationwide. Go go POWER RANGERS! Imagine calling on the power of the POWER RANGERS BEAST MORPHERS BEAST WHEELER CONVERTING ZORD and battling the Power Rangers' toughest enemies. Convert from Gorilla Mode, ready for a fight, to Wheeler Mode, ready to roll to the next place Zord power is needed. And, combined with BEAST RACER CONVERTING ZORD and the BEAST CHOPPER CONVERTING ZORD, kids can build the BEAST-X MEGAZORD to imagine taking on even more powerful foes. Find other POWER RANGERS figures and gear, including POWER RANGERS BEAST MORPHERS toys, to expand the morphinominal action. Each sold separately. Available at most major toy retailers nationwide. Go Go POWER RANGERS! Imagine calling on the power of the POWER RANGERS BEAST MORPHERS BEAST CHOPPER CONVERTING ZORD and battling the Power Rangers' toughest enemies. Convert from robotic Jackrabbit Mode, ready for a fight, to Chopper Mode, ready to fly to the next place Zord power is needed. And, combined with BEAST RACER CONVERTING ZORD and the BEAST WHEELER CONVERTING ZORD, kids can build the BEAST- X MEGAZORD to imagine taking on even more powerful foes. Find other POWER RANGERS figures and gear, including POWER RANGERS BEAST MORPHERS toys, to expand the morphinominal action. Each sold separately. Available at most major toy retailers nationwide. Go Go POWER RANGERS! Imagine calling on the power of the POWER RANGERS BEAST MORPHERS BEAST JET CONVERTING ZORD and battling the Power Rangers' toughest foes. Convert from robotic Scarab Mode, ready for a fight, to Jet Mode, ready to fly to the next place Zord power is needed. And, combined with BEAST RACER CONVERTING ZORD, BEAST WHEELER CONVERTING ZORD, BEAST WRECKER CONVERTING ZORD and BEAST CHOPPER CONVERTING ZORD, kids can assemble the BEAST- X ULTRAZORD to imagine taking on even more powerful foes. Find other POWER RANGERS figures and gear, including POWER RANGERS BEAST MORPHERS toys, to expand the morphinominal action. Each sold separately. Available at most major toy retailers nationwide. GO GO POWER RANGERS! Imagine roaring into battle alongside the POWER RANGERS PLAYSKOOL HEROES RED RANGER AND DRAGON THUNDERZORD Figures, inspired by the MIGHTY MORPHIN POWER RANGERS TV series! Sized right for younger rangers, the collectible 3-inch action figure and 14-inch Zord toy let boys and girls get a grip on big fun! Kids ages 3 and up will love pressing down on the Zord toy’s tail, activating flapping wings, a roaring mouth, light-up eyes and tongue, and sound effects. Adding to the fun, these figures have been designed with Power Morph activation. Place the Red Ranger toy on the DRAGON THUNDERZORD figure’s platform to trigger a pop-up projectile launcher which can be activated with the push of a button! Kids can imagine big battles and epic encounters! Available at most major toy retailers nationwide. Special Thanks to Hasbro and Rogers & Cowan for providing Zone Base with this news.